Billy Sunday (1862-1935), was a professional baseball player from 1883 to 1891 for Chicago, Pittsburgh, and Philadelphia teams. He was converted through the street preaching of Harry Monroe of the Pacific Garden Mission in Chicago. He left a $5,000 a year salary as a baseball player for $84 a month in a ministry position with the previously evangelistic YMCA. From 1893 to 1895 was associated with J. Wilbur Chapman. He was an evangelist from 1893 to 1935. It is estimated that over 300,000 people walked the “sawdust trail” to receive Jesus Christ as Saviour and Lord. (Adapted from “The Wycliffe Biographical Dictionary of the Church,” page 387, Elgin S. Moyer, 1982, ©Moody Press, Chicago, IL). 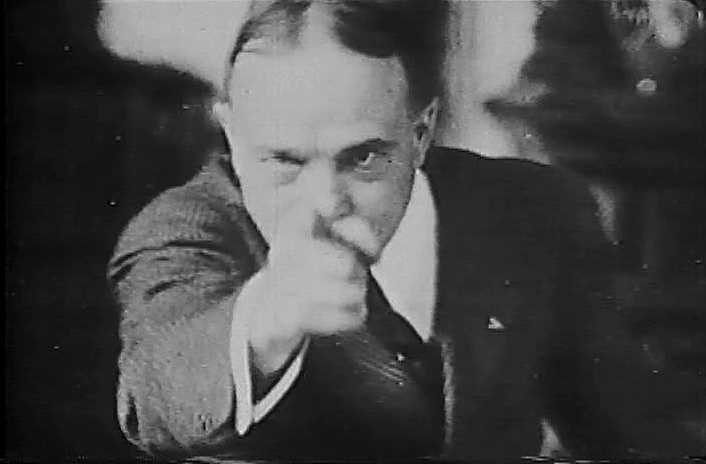 Billy Sunday was hated for his strong stand against alcohol, gambling, and dancing. “I have only two minutes more and then I am through. Bad temper. Abuse your wife and abuse your children; abuse your husband; turn your old Gatling-gun tongue loose. A lady came to me and said, ‘Mr. Sunday, I know I have a bad temper, but I am over with it in a minute.’ So is the shotgun, but it blows everything to pieces.